Annotation: Provides a basic description of ecology and food webs, explains how these, along with changing environments, drive adaptation and evolution, and how and why these adaptations are passed down to future generations. Many complex interactions among earth's organisms and environments are broadly sketched so readers can gain an overview of modern topics in life science. Main ideas repeat and sometimes overlap from volume to volume, and some of the same diagrams, photos, and explanations reappear. A recurring theme is that humans hold the key to the future balance of earth's ecology. Reading list. Glos., ind. 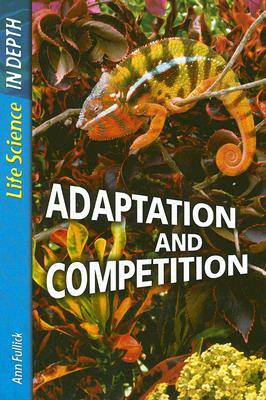 [Review covers these Life Science in Depth titles: [cf2]Adaptation and Competition[cf1], [cf2]Feeding Relationships[cf1], [cf2]Inheritance and Selection[cf1], [cf2]Variation and Classification[cf1], and [cf2]Cells and Cell Function[cf1].] Copyright 2006 Horn Book Guide Reviews.